Equine Assisted Learning comprises a range of practical activities involving horses that are designed and selected to help assist people in supporting their personal physical, mental and emotional well being. Activities are designed to meet specific goals and objectives and progress is constantly monitored and reviewed. 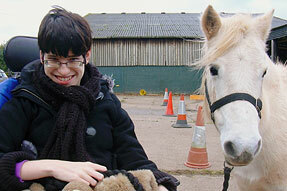 At the Centre all activities are based on 'ground work' with the ponies and does not involve riding. All of the ponies used in equine activities at the Centre have been specifically chosen for their character and temperament. 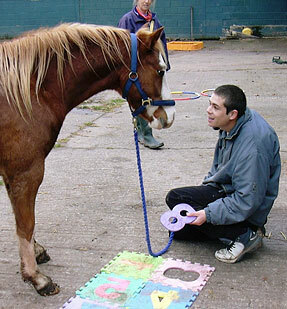 Equine assisted learning utilises the unique relationship that exists between equines and people to beneficial effect. 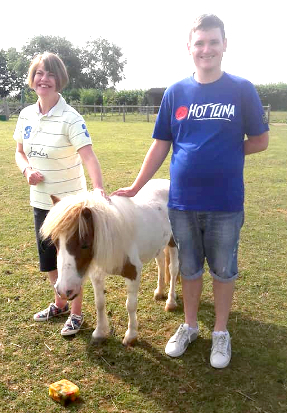 Equine assisted learning can be used with people who have no previous experience of equines and need not involve riding. The horse's behaviour will 'mirror' that of the person working with it and so responds to human body language, most especially working on the basis of mutual respect and trust. Julie Milsom is trained and accredited as an equine practioner with The Equine Assisted Growth and Learning Association (EAGALA) which is the international body that promotes and maintains standards in equine assisted learning. For more information please contact Julie Milsom at the centre.